Richard Marcinko's revelations in his explosive #1 bestselling autobiography, Rogue Warrior, reverberated through the highest levels of the U.S. government. But, bound by government restrictions, he was forbidden to tell the whole story. The answer was fiction. 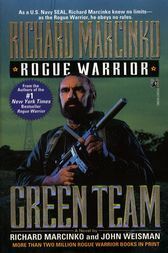 First came Rogue Warrior: Red Cell, the take-no-prisoners bestseller with Marcinko as hero. Now the Rogue Warrior's back and he's hotter than ever, in a knockout novel of courage and nonstop action. There Are No Rules -- Thou Shalt Win at All Cost!